Dale Ritchie: The goal is "to be the social enterprise capital of Atlantic Canada." Members of the Greater Moncton business community have launched a new initiative featuring an accelerator and funding vehicle to encourage the development of more social enterprises in the area. Social enterprises are businesses created to further a social purpose, or solve a social problem, in a financially sustainable way. Millennials comprise the biggest generation in the Canadian workforce and are gravitating towards socially responsible careers and businesses. The Moncton initiative aims to ensure those seeking to create positive change in the community, using a financially sustainable model, receive the support they require. 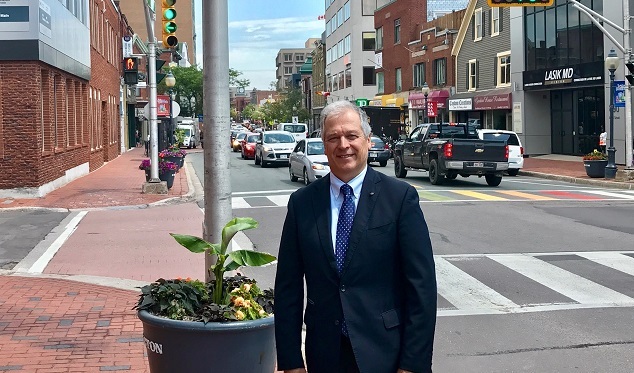 The initiative consists of a two-pronged approach to further the growth of social enterprises in Greater Moncton – the Community Accelerator and the Hub Fund. The organizers hope the Hub Fund will eventually raise $1 million to fund social ventures. An independent board will govern the fund and any social enterprise in the area will be eligible to apply to an investment committee, which will make investment decisions. The Community Accelerator is a program developed to help social entrepreneurs that have an idea for an enterprise but need mentorship and support. Facilitated by McKenzie College, the accelerator will provide them with the resources and skills they need. Ritchie added the goal is "to be the social enterprise capital of Atlantic Canada." The idea was inspired by Ritchie’s daughter, Jill, whose partner Lucas passed away after a long battle with mental health and addiction issues. Jill and Lucas had started “Lead with your Heart” and Jill has continued the cause in his memory – a legacy project to provide alternative, creative therapies for people suffering from mental illness and addiction. Many community members have lent their support to the initiative but organizers are still recruiting mentors, advisors and investors. Those interested in getting involved can contact info@mckenzie.edu.